If you are anything like me – you hate to hear a baby screaming. And of course nature has her way of making sure that our own baby has a cry that shakes your very core! Often excessive crying is caused by separation anxiety, when you leave the room a young child doesn’t know you are going to come back. As a childminder, I’ve dealt with lots of children who get anxious or cry when separated from their parents. Here are some tips on how to deal with it. Many of us mummies have our other children to consider. We need to be able to put our babies down for just a short while to see to our toddlers. Also, a lot of us have bad backs and it’s just not possible to carry our youngest child around everywhere we go, (and I mean everywhere) 24/7. I am not a fan of the ‘controlled crying’ method. Why should we put our children’s and our own stress limits to the test when there is a much easier way without tears? The answer is here in the “I’ll be right back” method. Chose a quiet day if you have one. This really needs to be done with minimum interruption. You simply place the child on the floor. Let go of him, smile and say “I’m just going to …. (whatever) I’ll be right back.” With that, you leave the room for a split second and, almost turning on your heels, return and say “I’m back! Good boy for not crying!” Get down to his level and reward him with a cuddle and a few moments of your time. This method works, it’s easy and as long as you go back to the child before he starts to cry with the words “I’m back. Good boy for not crying” He will associate the words “I’ll be right back” with you coming back. Always reward with a cuddle and a few moments of your time. I would use the same method with older children who I minded. Do you have children who follow you to the bathroom no matter how cleverly you think you’ve sneaked out of the room? The “I’ll be right back” method works here too. The “I’ll be right back” method also works at bedtime. It is especially effective when training a child to abandon his dummy or bottle. Again, the first time, return quickly and say “Good boy for not crying /calling/getting out of bed.” and a quick kiss on the forehead. The child needs that constant reassurance that you are still there and that you will come back. Your partner can join in here too and you can take turns traipsing up and down stairs. And between you, your partner and a pan of chard potatoes your child will fall asleep knowing that he is not alone, that you are there. 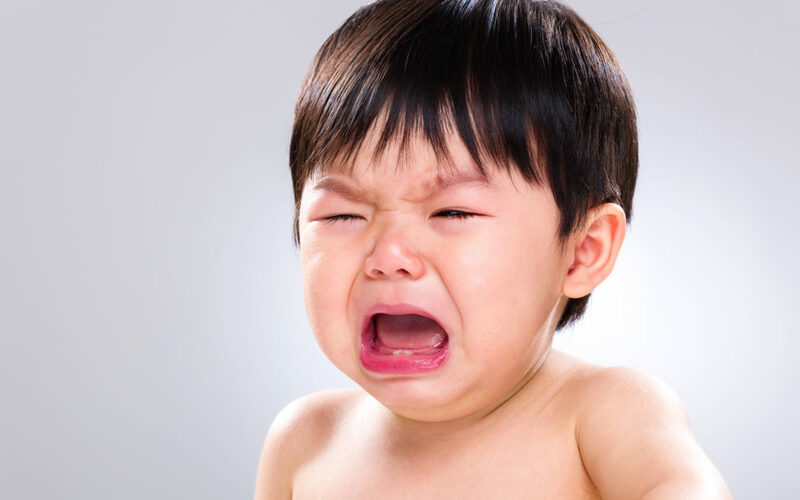 There are “Controlled crying” techniques that call for leaving the child to cry for as long as ten minutes. I don’t agree with this method. I think that it is far too long. When your child is crying uncontrollably, it is your natural instinct to comfort and reassure the child and this, depending on the age of the child, can take hours. What a lot of stress on both you and your child. So, there we have it. The “I’ll be right back” method of reassuring your limpet, that each time you leave his sight, you will be back. This method contributes towards a confident, assured and happy child as he grows older and starts to build relationships outside yours and his immediate family. I would love to hear your coping strategies for children struggling with separation anxiety and ways you find helpful dealing with your own little limpets!